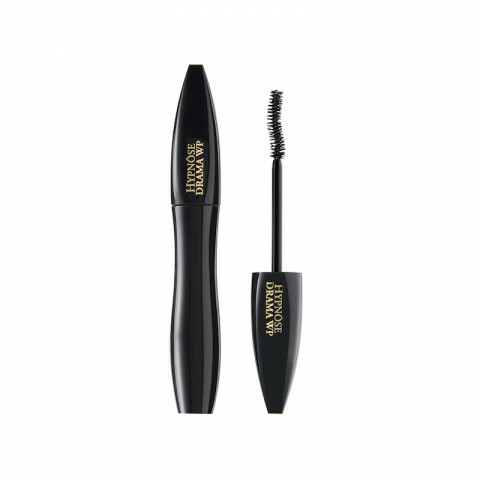 Get full volume lashes that last with Lancme's waterproof Hypnose Drama Mascara. Its luxe Texturizing Complex features highly saturated waxes and intense black pigments to create maximum lash volume. The full contact brush, with its S-shaped curve, grasps and coats lashes for a fanned out, full fringe. The triple coating system delivers a fluid and creamy application to quickly and easily build bold lashes that won't clump or flake. This adds volume to my lashes while curling it and separating them at the same time. Does not get clumpy. I love all Lancome mascaras. This is my favorite mascara ever and I've tried a lot. This makes my lashes long and voluminous, and my natural lashes are neither long nor voluminous. This definitely brings the drama without being clumpy. love this mascara from lancome. brush is amazing, really great at separating the lashes and adding lift. coats lashes evenly, long lasting, and does not flake. This mascara is the best bang for your buck! It's reasonably priced and does exactly what it says, adds tons of drama. I love wiggling the wand outward to create more of a cat eye effect. This definitely adds volume and lengthens. Great choice! This mascara is my go to. I have fairly long lashes but they are blonde and straight and this mascara does an incredible job of giving them volume. Plus, I have found that all the Lancome mascaras I have tried are a true black color and make my blue eyes pop. This one is my favorite! There is a learning curve to the wand, but this makes my stick straight, short lashes look voluminous and long! Truly waterproof as I never notice any smudging.